On Thursday, February 27, 2003 at 8 a.m. Sherman Lee Dillon of Jackson , will be joined by family and friends at the Mississippi Secretary of State's Office as he files his Statement of Intent declaring his candidacy for Governor. 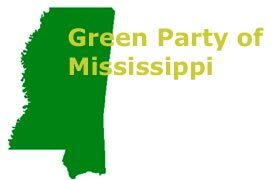 Mr.. Dillon a life-long resident of the state and father of seven will make history by becoming the first candidate to seek election on the Green Party ticket in Mississippi . Mr. Dillon promises to be a candidate, "of, for, and by the People." As such he will mount the largest grassroots campaign the South has ever seen. Only donations from individuals amounting to $200.00 or less will be accepted by the campaign. " Sherman Lee wishes to distinguish himself from other candidates and let the People know he is answerable to them alone," said campaign manager Landon W. Huey. Mr. Dillon will campaign on a platform dedicated to bringing about positive business and workforce development based on community economics thereby providing key physical, social, and civic infrastructure while maintaining a vigilant eye on cultural and environmental stewardship for the betterment of all Mississippians regardless of race or class. Mr. Dillon intends to campaign in all eighty-two of Mississippi 's counties. Sherman Lee Dillon is a leader for the 21st Century. Please exercise your rights and vote on November 4, 2003.